Then came an idea of doing the edging on a square cloth. why not do a motif on that cloth? 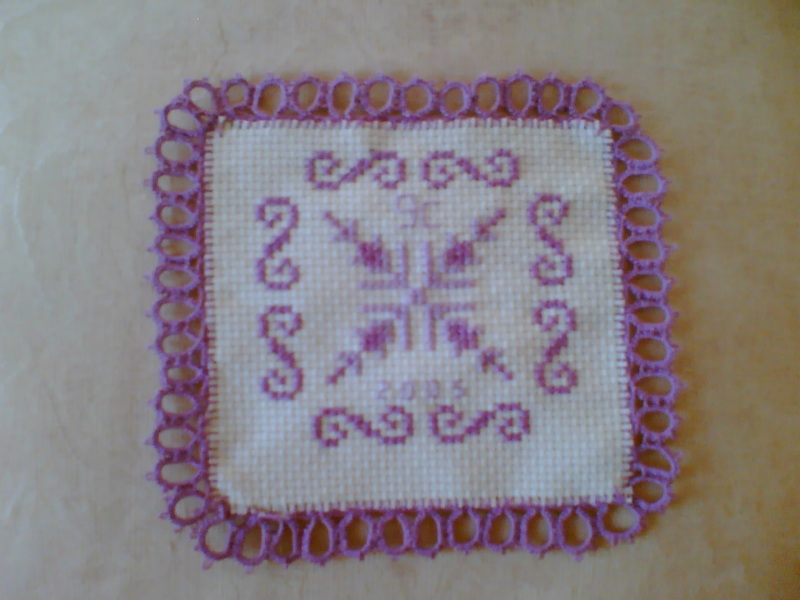 With these in mind, I designed and worked a cross stitch pattern on Cream Aida cloth. After completing the embroidery, the edging was tatted as per plan.